Home Lifestyle How To Clean A Washing Machine? We all know that most of us hate doing laundry but can you imagine your life without a washing machine? The washing machine is one of the most useful things for us in our daily life. If you want to clean your clothes properly, your washing machine should be neat and clean. Sometimes you will see some grains of dirt and sand that accumulate inside the drum of your washing machine. It can impact the performance of the washing machine by which your clothes will not get clean thoroughly. How To Clean A Front Load Washing Machine? Allow the door of your washing machine open once you take out all the clothes and allow it to dry out completely. It will help to prevent mildew and mold from growing inside the machine. Using a damp cloth, clean the washer door by wiping it down. With the help of a mild soap & damp cloth wipe up all the spills, dirt or grime from the exterior of your machine. Now open the detergent tray and soak it in the hot soapy water for 15-20 minutes. Note: Try to clean your washing machine once after 30 wash cycles to avoid any type of dirt and grime. How To Clean A Smart Washing Machine? The first step is to clean the control panel using a damp cloth. Clean the water hose of your washing machine once or twice a year by soaking the filter in water and after that allow it to dry it completely. Clean out the dispensers with a toothbrush which can help you to remove all the residue. Read instructions and then run the self-clean cycle which is designed to work without a cleaning agent. Note: While cleaning control panel, don’t use harsh cleaners and if you have clothes in the machine don’t run self-clean cycles. How To Clean A Top Load Washing Machine? Like the front load washing machine, leave the door open once you remove all the clothes and allow the washer to dry out completely. 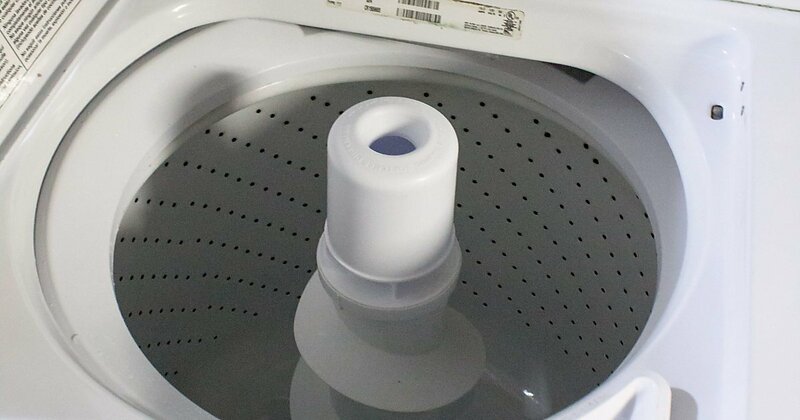 Put a small amount of detergent liquid on a damp cloth and wipe the machine from inside. Now wipe up all the dirt, grime, and spills from the machine’s exterior and door. Change the hoses of your machine once in 4-5 years to keep your machine well maintained. Note: The harsh cleaners can damage your machine so avoid using it. You can use vinegar if you prefer a particular light touch but it can create odor problems. The new washing machines have a filter near the bottom whereas the older washing machines don’t have the filter. The method of cleaning the washing machines are basically the same but can vary slightly depends on the model and type of your machine. So, if you are using either new technology machine or old machine you can use these steps for both types of machines to keep it well maintained.